How to spend Coins Efficiently in Brawl Stars | Brawl Stars UP! The ways you spend Coins in Brawl Stars definitely affect your in-game progress a lot. In this guide, I am going to show you the most efficient ways to use Coins in Brawl Stars, the way that give you lots of benefits. As we progress through the game, opening Brawl Boxes becomes more frustrating. Once we have unlocked all common and rare Brawlers, we will just get full of Chips and Elixir (1 Elixir, not those 5 Elixir) and we don’t even want to open Brawl Box anymore (just kidding). When should I save Coins? As proven before in Clash Royale, Supercell will definitely keep increasing the droprates of rare, epic and legendary items in Brawl Stars from time to time. At the moment, we don’t know when they will do that yet but I would bet that we will have a lot better droprates once the global release hit. Thus, saving Coins definitely increases your chance of getting epic and legendary items. Also, a lot of players love saving up Coins to open a large amount of Brawl Boxes at once. So, If you are one of those, just do it! However, there are a few cons tho! 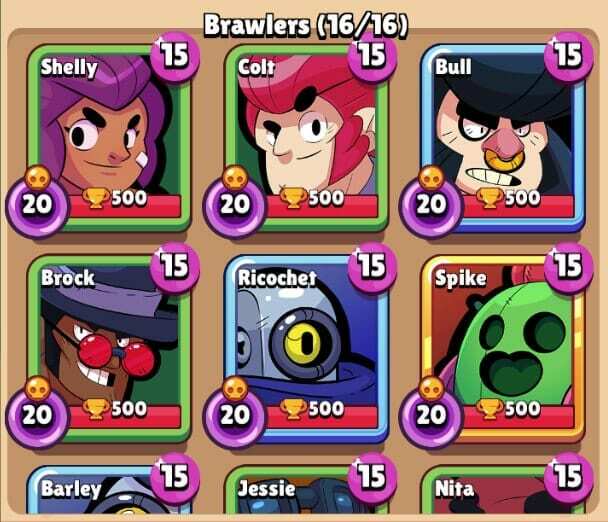 If you still have many Brawlers to unlock, or at least Brawlers which are dominating in certain maps (for example, Piper is so good in Bounty, Shelly is insane in Showdown, etc). Get at least 1 great Brawler for each map first before saving Coins! You are in need of Elixir. If you decide to save Coins, you will not have any Elixir for upgrades. No Brawl Box, no Elixir. Upgrade is a must If you want to push higher in the game. Playing with strong Brawlers definitely gives you a lot of advantages. When should I Spend Coins? Supercell just released a new OP Brawler which offers 100% winrate? Just keep opening Box and pray for it! To be honest, it’s pretty hard to push trophies without upgrading your Brawlers. Use Elixir to upgrade your favorite Brawlers, gaining the advantage over people! Don’t hesitate to comment If you have any suggestion/question! i’ve gotten it twice – the x5 elixir right?